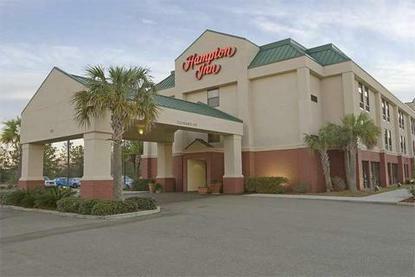 A three-story interior corridor hotel with an elevator, 78 regular guest rooms including three suites. The hotel offers hot breakfast, business center with free high-speed Internet, wireless Internet in the lobby, a fitness center, coin laundry services, free parking, and an outdoor pool. Large meeting-conference room and a small board room are also available. All rooms are very spacious and are equipped with microwaves, refrigerators, hair dryers, clocks, coffee makers, iron and board, basic cable with free HBO, high speed Internet access, and ceiling fans.